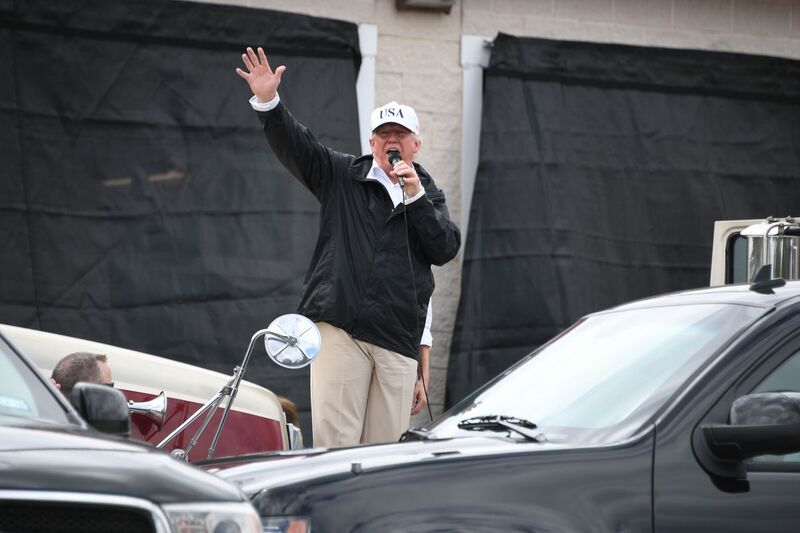 CORPUS CHRISTI, TEXAS -- While addressing a crowd of victims of Hurricane Harvey in this gulfside city, President Trump marveled at the number of people gathering to hear him speak. "What a crowd, what a turnout!" Trump said to several hundred people surrounding a local fire station. Trump and first lady Melania are visiting parts of Texas affected by the storm, which reached the coast as a Category 4 hurricane before being downgraded to a tropical storm. "In fact," Trump said from a ladder positioned between two fire trucks, "I think this is probably the largest crowd ever gathered in the history of this great nation after a national disaster. No matter what Mother Nature has to throw at my supporters, they will always gather to hear me. Make America Great Again!" After the remarks, White House spokeswoman Hope Hicks explained that Mr. Trump remains very concerned about storm victims, "Even those who refused to support him."